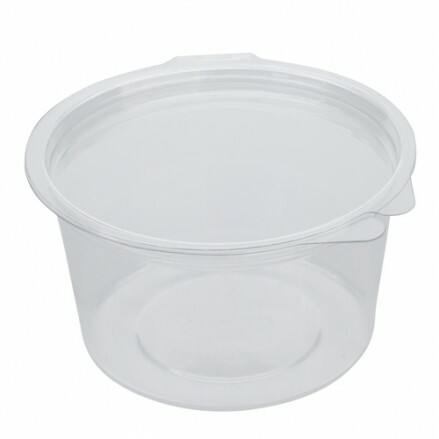 High Clarity APET hinged deli pots. These pots are 100% leak-proof and have a recessed lid to make stacking easy and very stable. These deli pots are perfect to present your products on a retail shelf or for the customer to fill with your Mediterranean food selection. 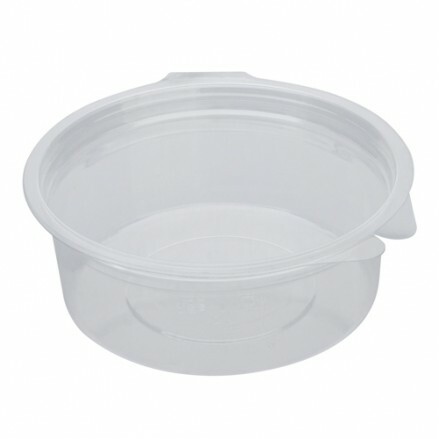 480 per case 8 oz / 250cc clear pot with hinged lid Recyclable, 10..
480 per case 12 oz / 400cc clear pot with hinged lid Recyclable, 1..